It is a shopping hub no doubt, but it is equivalently a great hang-out destination for all ages and lifestyles. While there is an iconic Central Park for those looking for peace, seclusion or leisure, there are also myriad of eating joints for all budgets and experiences. Most of the brands have their stores available here in mostly traditional formats, yet in modern outlook. While the upmarket brands dominate the scene, you could still find the footpath markets in Palika Bazaar, if you care to venture into it. There is Kevinters to cool you off with chilled milkshakes and there is the famed Paan Bhandar to freshen you up with a variety of paans. One may walk out to the Janpath market to check out latest on road-side fashion or enter into one of the movie theaters. And in case you are up to some south Indian food, the Sarvana Bhawan provides mouth-watering food if you can bear a more than an hour waiting period no matter what time you visit. Connected pretty well with most parts of Delhi and NCR through metro, this definitely features the top in any things-to-do list that a Delhite or a tourist may have. While the origins of this monument date back to the British rule who built it to commemorate the loss of over 70,000 Indian soldiers who fought for British in World War 1. However, later after independence, this gated tower built in the center of the city because a symbol of patriotic fervor once Amar Jawan Jyoti, an eternal flame, was added to it in memory of brave soldiers of this country who died in Indo-Pak war of 1971. Today this monument captures an important place in any official celebration of national festivals witnessing the Prime Minister and President visiting it to pay homage to the martyrs. Besides nationalist and historic importance, it is today a destination for families, youngsters and couples to spend quality time in open space (which may be obscured in the dense city otherwise). Come rains and you can see hordes of people rushing to this location to enjoy the weather over tea, bhelpuri or gol gappas (Indian snacks). This is one corner of the city which may be called a village because of its origins but is no way one by any sense. It is today a base for numerous eating joints in the southern part of the city. You could find food to cater to all tastes and cuisines and has become a valued hang out destination. There is an adjoining relic of a fort which now remains as broken walls and maintained gardens for people to spend some time in peace amidst nature. There is a huge lake in the backdrop of the fort which can also be viewed from a number of eateries. However, if you are visiting there on a weekend evening, prepare well to park your car outside the area and walk some distance rather than attempting to find a spot at the narrow by-lanes of this “village”. Inspired by the temple in Gujarat with the same name, this Swaminarayan Akshardham has its own identity and has become one of the popular destinations in Delhi. People from all walks of life eagerly visit the temple to admire rich art and architecture along with cultural and spiritual aura engulfing the premises. The sprawling campus offers welcome gates and mystique fountains, temple houses and boating galleries apart from the screening of videos passing the message for “humankind”. 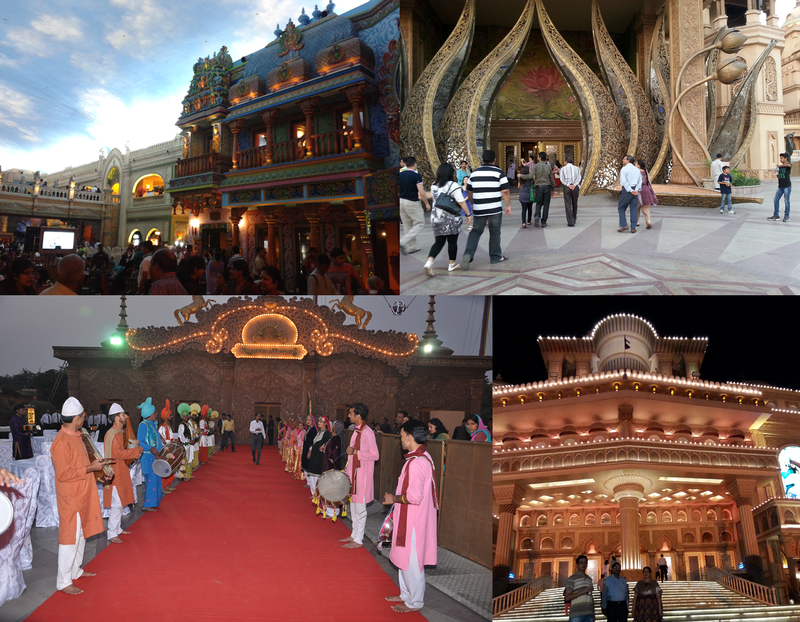 The complex also houses themed gardens, water shows, exhibitions and places to worship deities. This location deserves a day-long visit in itself because any shorter visit would keep you wanting to stay more. A leisure paced weekend outing or half day excursion is what would help you grasp the essence of the temple. Rashtrapati Bhawan is the home of the first person of the country – President of India. Built on the top of Raisina Hill, this majestic residence does apt justice to the person at the helm of this great nation. Spread across 340 acres this residential campus is an almost a mini-city in itself with all daily amenities available in-house. The building with over 340 rooms across 4 blocks and various stories is palatial by any standards. It was only since a few years ago that common people were allowed a tour of this palace and since then no slot is left unfilled. Prior reservations can be made through the President’s website and attempt to enter without that reservation would anyway be futile. 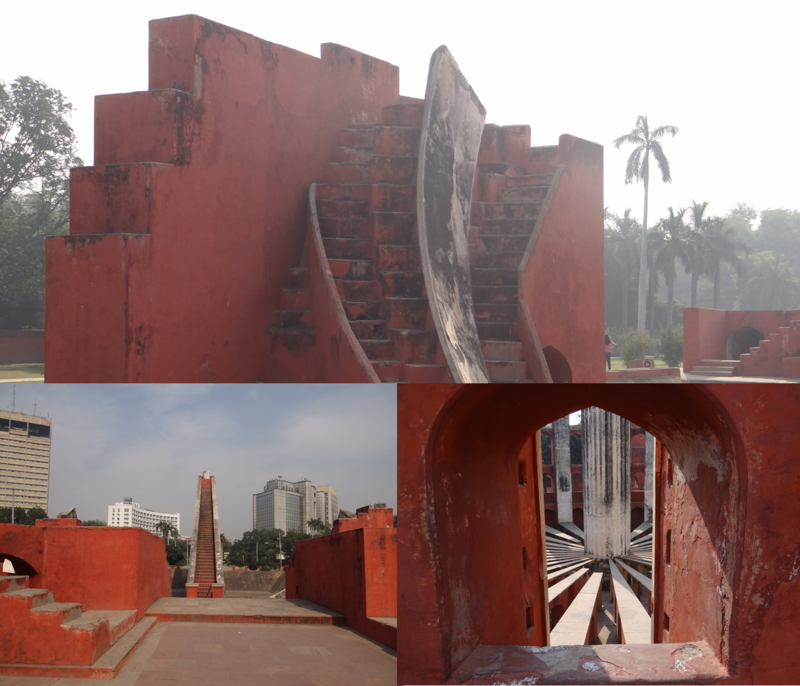 Jantar Mantar is a revered destination of interest for those attracted towards astronomy and science. It is a wonderful showcase for ancient date and time calculation techniques and other astronomical concepts. This is one of the observatories built by Raja Jai Singh of Jaipur another being at Ujjain, Varanasi, and Mathura. The purpose at the time was existing astronomical instruments were not accurate enough and large instruments were required to improve the accuracy of calculations. Various instruments built as huge structures here showcase how rich the science at the time was and how people had to work hard to devise ways to accomplish things that we consider for granted today in the digital age. The location has been maintained well by Archaeological Survey of India (ASI) and the plush lawns surrounding giant instruments offer a great place to relax and appreciate the ancient science. Bring your own meals and this could be a great picnic you were looking forward to. There is almost an unmarked sprawling campus in the southern part of the city which houses a number of important monuments from the time of Mughals who had ruled the city for a considerable period of time in history. 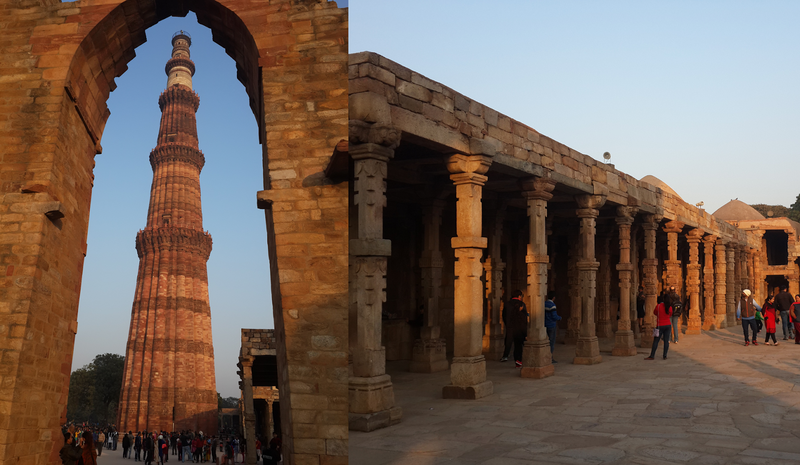 The most prominent of these is the Qutub Minar which rises over 73 meters in height. Built-in 1193 by Qutab-ud-din Aibak, the purpose of minar is still a curious tale among historians who are yet to reach a definite conclusion. With 5 distinct stories, the tower is definitely one of the landmark monuments of not only the city but the country. Some may admire the architecture and design of the monument, while others may be attracted to the mere might of the tower. The adjoining areas also offer a number of other monuments including Quwwat-ul-Islam mosque, the Ala-I-Darwaza, the Alai Minar, and the Iron Pillar. This location should definitely be on your to-do list if you haven’t been there yet. This auditorium styled entertainment zone is one of the cornerstones in Gurgaon and attracts tourists with its unique appeal. The auditorium offers shows which leverage world-class stage settings and movements of characters in god-knows how many dimensions. The 3 hours shows are a real charm to watch for every age. 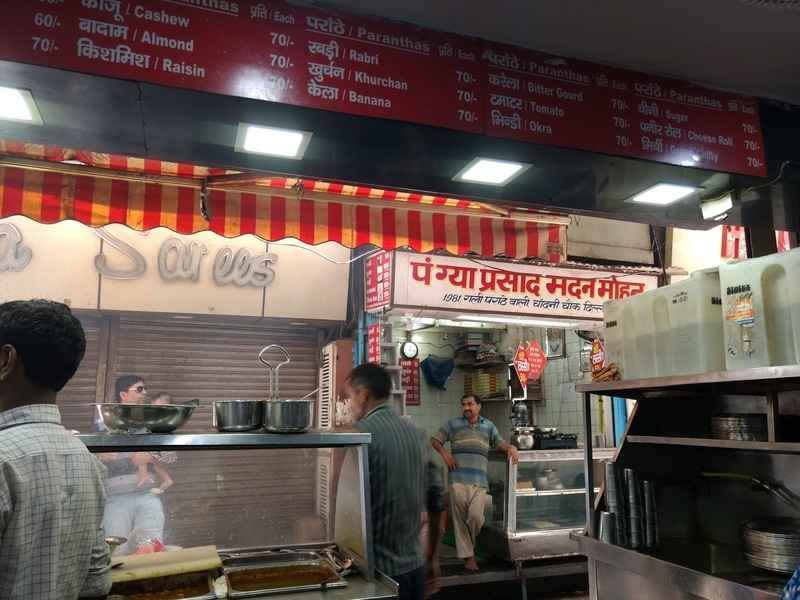 There is also a street-lookalike built there which offers food from every state of India. This covered street has been modeled as an open-air restaurant only in looks as the roof is designed to create an illusion of open sky. The food definitely adds water to your mouth after the eye-popping show. The older part of the city, also known as Delhi-6 because of the area pin code, has a charm of the golden era. Famous for its narrow streets overflowing with traditional dresses and souvenirs, the entire area offers a glimpse of the history of the city. However, there is one part of this area which is must-go for everyone in the city - tourist or local. The street - popularly called Parathe wali Gali - which serves freshly baked Indian bread. The menu offers a huge variety of bread - from mint to lemon to all sorts of vegetables and some sweets. 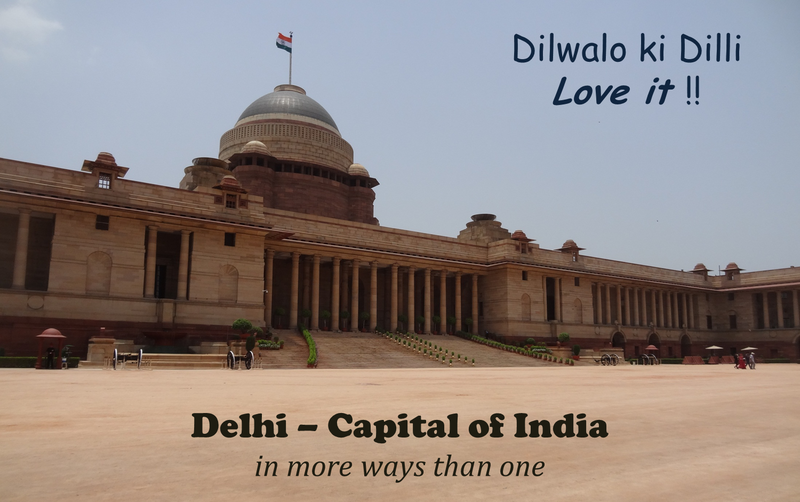 Obviously, this is not for everyone but only for locals or those who visit the city in the latter part of January when India celebrates its republic day amidst much fanfare. The parade showcases the military might, cultural richness, artistic capability and strategic policy directions of the nation and takes you through a wonderful journey during the over 3-hour procession. We have traditionally invited a foreign head of state as the chief guest for the ceremony. The parade generates huge patriotic fervor amongst the masses and people of all sections of the society come together to celebrate Indian-ness in true spirit. If you get a chance, definitely plan to witness this grand show of India at least once. It’s worth the effort of getting through the security. Well, you are right there is no such place as the Holy Street but still, I like to call this stretch of about a kilometer on Baba Khadak Singh Marg in Central Delhi as the Holy Street. Within this 1 kilometer starting from the outer circle of Connaught Place, the road has places of religious importance for the four primary religions. First is the famous “Prachin Hanuman Mandir” which attracts Hindu devotees from far off areas. Then there is the Irwin Masjid (Mosque) for Muslims right opposite the temple. A few meters ahead is the “Bangla Sahid Gurudwara” – a place of immense importance to Sikhs who consider this as one of the biggest religious centers. Finally, as the road meets the Akbar Road, there is a large Cathedral dear to the Cristian fraternity. In all this road, for me, is poster-location for unity in diversity or as they say “Sarv Dharm Sadbhav”. What good is a visit to a metropolitan if you do not talk about the malls that have set their marks in the city. Especially to the locals who are looking for a place to hang out or tourists from tier-2 cities, malls are definitely a treasured destination. If you look at Malls in Delhi, there is definitely no dearth of splendid buildings providing a range of shops and eating joints. However, if you come to think about it, there are these fours shopping arcades which are a cornerstone for those looking for a good place and good crowd to spend some time and pick some stuff. Ambiance located in Gurgaon is considered one of the biggest malls in the country and spread over 7-8 floors, this definitely is a tiresome but worthwhile visit. There is a whole floor dedicated to kids’ fun rides which provide added reason to leap towards it. Great Indian Palace or GIP is the only quality hanging out place in Noida and hence is always high on ranks if you want a location in that part of the city. Pacific Mall is located in another large mall offering a wide variety of shopping and eating options amidst great ambiance. Saket Select City Walk is actually a combination of three different malls located adjoining to each other and connected by a covered pathway. This covers a huge area as the campus has grown horizontally and is a favored spot for youngsters. Located just beside the Income Tax Office (ITO) Metro Station, this museum provides a glimpse of the lifestyle across the world. The concept of the museum involves dressing small dolls in the costumes prevalent in various sections of society across the world. The dolls are categorized based on countries and provide a wonderful peek into a myriad of dressing styles. Spread over 2 large halls, the museum has over 6000 dolls depicting dresses from more than 85 countries. A museum is a great place, especially if you have kids who would find this interesting and amusing. 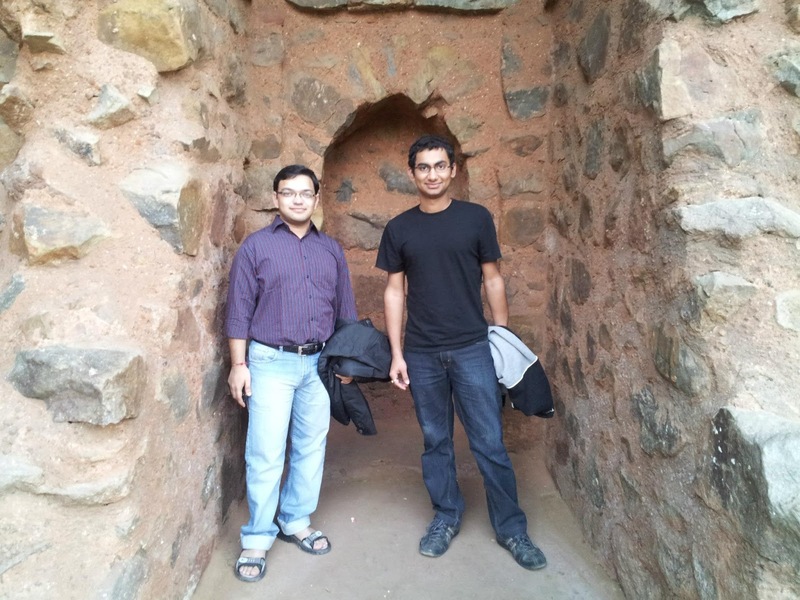 However, the place needs better maintenance and upkeep to keep it worthy of being covered as a tourist destination. Probably limited footfall is a reason behind it which will simply put this important destination in a vicious circle. The Science Center is located right beside the Pragati Maidan and is easily accessible by Metro. The center covers various aspects of numerous branches of science including physics, biology, human anatomy, water conservation, and astronomy. The center also offers 3-D shows and features videos on astronomy. Children would definitely find this interesting however grown-ups may tend to get bored as the place is not one of the best science centers in the country. If you have been to one of the better science centers (Kolkata, Bangalore etc.) you may find this highly toned down and with limited displays or working models. 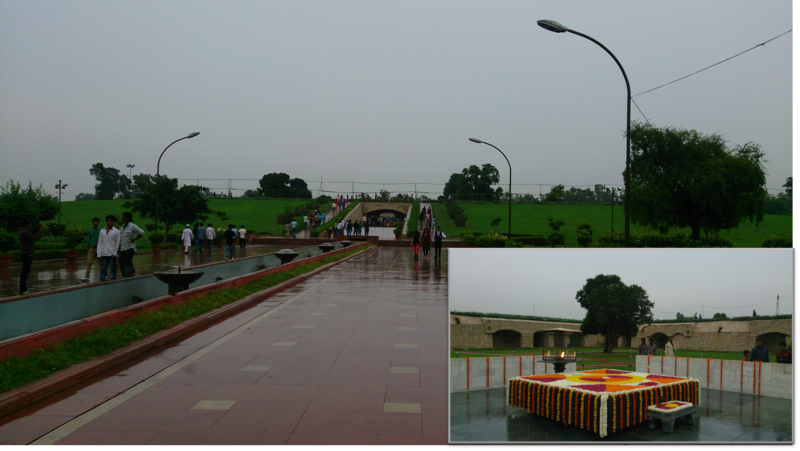 Rajghat is memorial of Mahatma Gandhi, the father of the nation, and is a destination of interest to all. It reminds us of the huge sacrifices that freedom fighters had to put up in order to gift us this freedom we take for granted today. The memorial is, in fact, the cremation site of this great soul and is marked with a square platform alongside which eternal flame burns. The site is visited often by the top leaders from India and abroad to pay homage to the great leader. The memorial has been developed into a beautiful location by the government and the lawns are manicured carefully and fountains done across the wide cemented path towards the memorial. Well, a Delhite may argue about the inclusion of the metro in this list as this has so easily become an internal part of life for us. We have come to relate it to a hectic life and rushed bogies, however, talk to a tourist and you would realize the awe it creates in mind of people. The world class infrastructure, clean premises, automated operations, orderly management, and comfortable ride is what they consider a dream and this reality in the capital city does provide many a hope of better public transport in their own cities. I remember taking my grandparents on a ride on the metro and they were ready to call it a different world in itself. This is simply put – an eating arcade!! This campus of sorts offers a huge list of restaurants in close quarters from each other across 3 levels. You would find all the cuisines and budgets satisfied by the offerings. This has become a good hangout place in Gurgaon for everyone. Situated amidst the sky-high office buildings of cyber-city, this also is a lunch destination for professionals. If you are in this part of the town, do drop in once to break bread in the perfect ambiance.